SPECIAL OFFER! 5 for £30 on selected L'Oreal Majirel tubes of colour! L'Oréal Majirel is a permanent hair colour range that provides up to 100% grey coverage and guarantees rich, deep, vibrant colour and long lasting durable coverage with superior resistance to fading. If you’re looking for a quality permanent hair colour range that also restores and protects natural hair fibre, shop L'Oréal Majirel online at Salons Direct today. For best results use with L'Oréal Creme Oxydant. 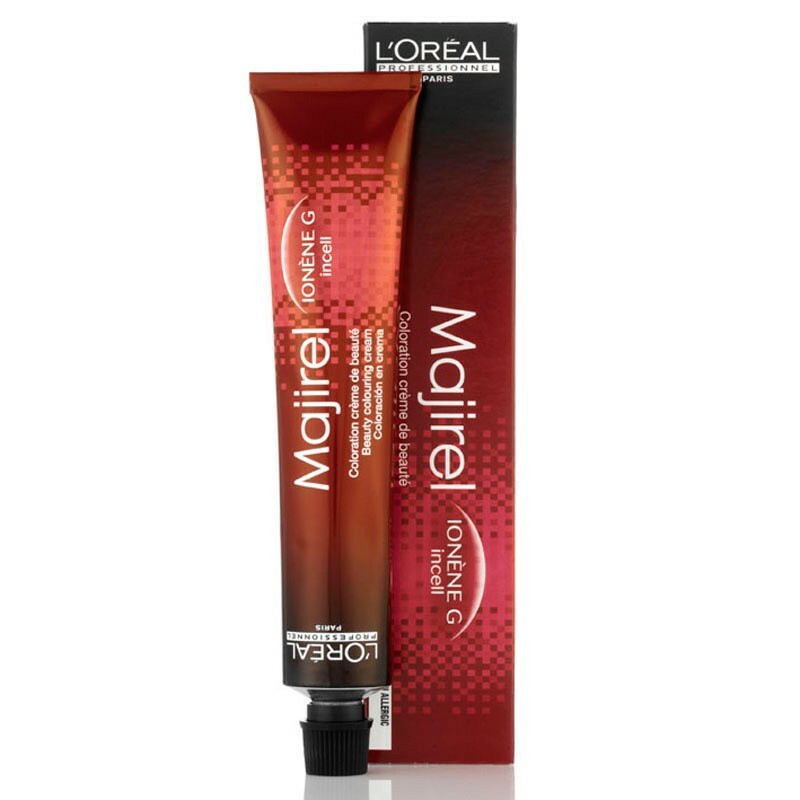 L'Oréal Majirel is a permanent hair colour range which provides up to 100% grey coverage. Majirel guarantees rich, deep, vibrant colour and long lasting durable coverage with superior resistance to fading. It features Ionène G™ and Incell™ advanced technologies that reach all 3 levels of the hair. This technology restores and protects the natural hair fibre, provides superior conditioning and all over shine for an unrivalled colour result. Combined two different Majirel colours! Will order again! Lovely product and everything I ordered in box. Great coverage of grey hair with good colours. this L'Oreal Majirel hair colour gives a lovely tone, but it fades faster than I would like. It is an excellent product that gives me the colour I want. Good quality product delivered promptly. It's a lovely colour and it cover my white hair. Good quality and many colours. I received my items and they are the right ones that I ordered but I haven’t tried them yet. Excellent product especially for covering grey hair.